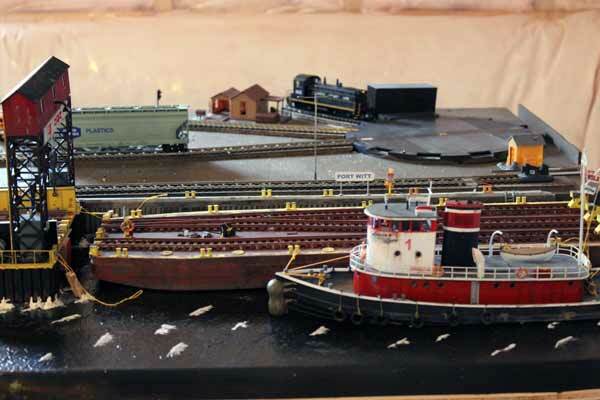 Peter Shelton has finished his point-to-point HO railroad enough that he could demonstrate it to our NMR Club members on a Saturday in January, 2017. Peter has incorporated several unique features: an operating barge apron his brother-in-law adapted from a Walthers kit, and an HO snowplow with a TV lens to live stream video from trackside. The apron "moves with the tide"
The photo shows the model machinery that is used to lift and lower the apron. 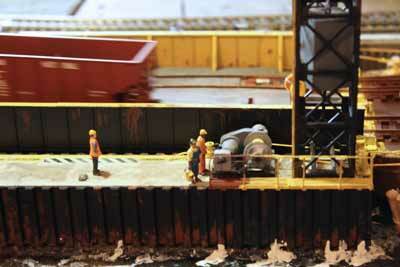 The actual operating parts are hidden below the barge apron. The railroad is about 30 feet long and 30 inches wide. 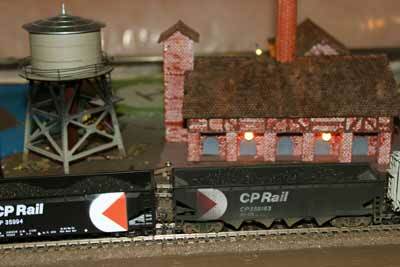 He used a couple of leftover modules from our train club that we no longer use. Eventually he plans to add loops at the left end. 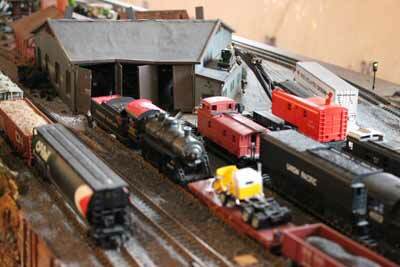 It's been a family affair as his children have their own area of the layout to build and develop. The controls are DCC. 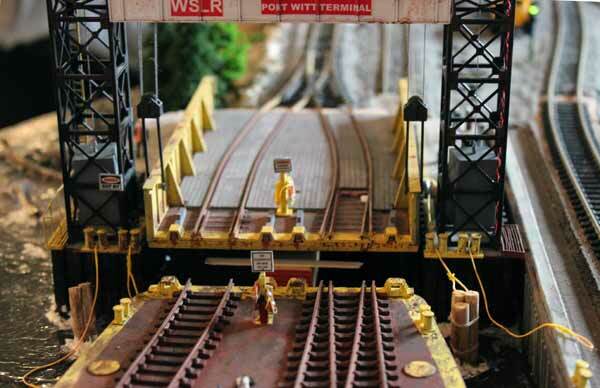 Peter is one of our more advanced members and has already incorporated a lot of electronics into the layout. 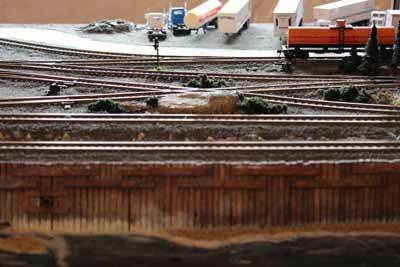 Here's a short video to demonstrate the camera car and some action on the layout. The large TV monitor is in an adjoining room. 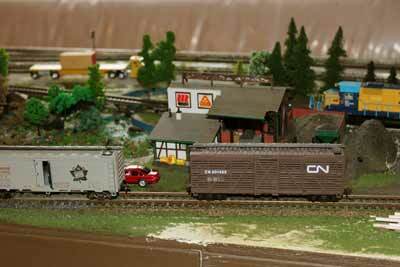 Peter can control turnouts remotely as he drives the train with the camera in the nose of the CN snowplow. 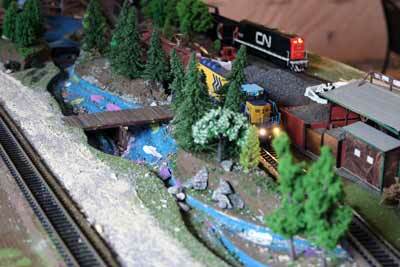 Quite fascinating and a totally different view of a model railroad layout. Peter acquired my old roundhouse at our auction last year. He intends it to be a museum. Have a look at Part 1 of building my Utopia Northern Railroad. Check out my previous UNRR layout.